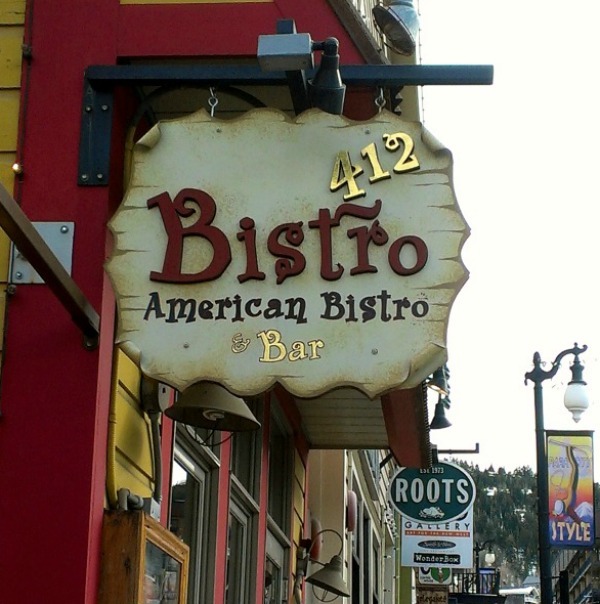 Bistro 412 is one of our favorite restaurants in Park City, Utah. I have loved escargot since my first trip to France in 1966 and HB has been fond of this delicacy for most of his adult life. This restaurant serves escargot, topped with a delicious pastry crust. Although the menu is eclectic, there is a strong French influence running throughout, including French music in the background. 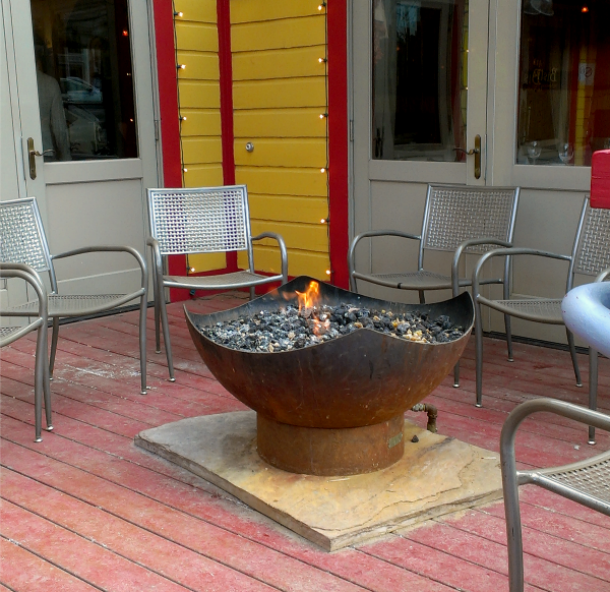 Many visitors enjoy sitting in front of the outdoor firepit – people watching or just relaxing with a favorite beverage. 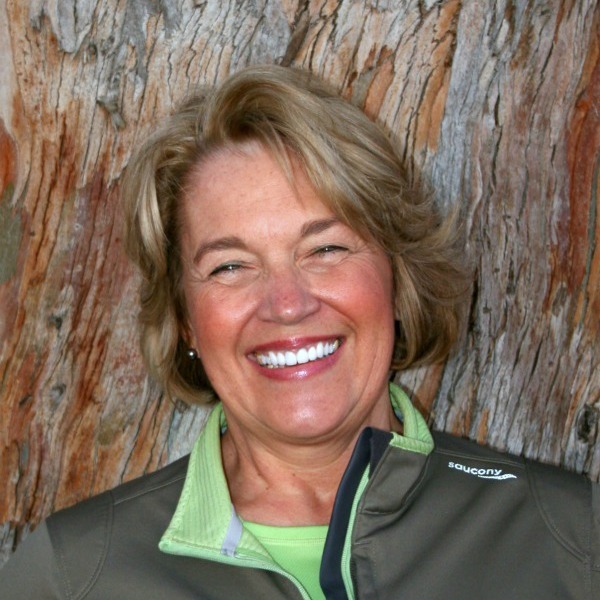 It was an especially popular spot during the Sundance Film Festival. 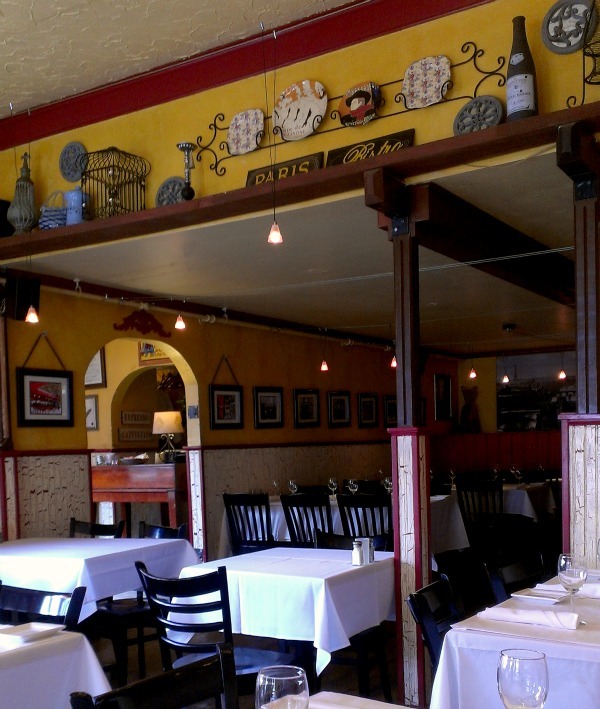 The interior has an engaging quaint charm that transports you to a small sidewalk Parisian café… a lovely setting for your afternoon or evening meal. 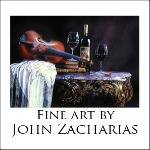 The servers are efficient and very knowledgeable. My favorite item on the menu is a poached pear salad with goat cheese. Our waiter suggested adding grilled shrimp… it was delightful. I will definitely order this one again. It also comes with roasted beets… a perfect choice! 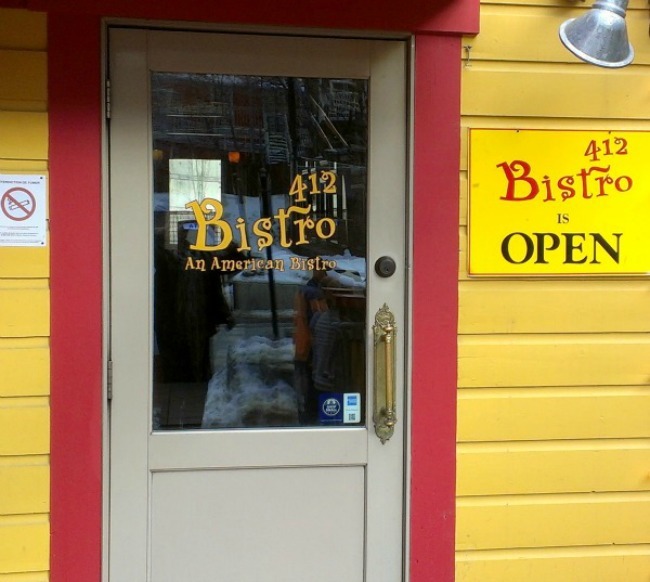 Bistro 412 is located at 412 Main Street. 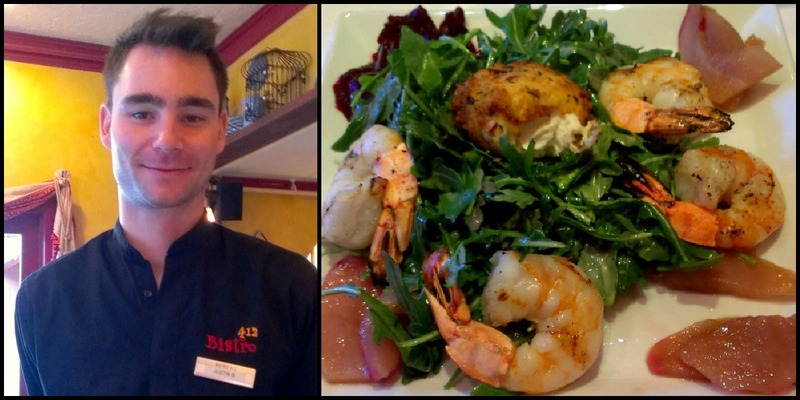 If you haven’t tried the Bistro 412, we highly recommend you do! What are some of your favorite restaurants in Park City? Any comments are always welcomed! My husband loves Bistro 412! We also really like Ruth’s Chris and Grapo in Park City. All the Bill White restaurants are superb. Thanks for stopping by, Kelli! The salad looks delicious! I’ll have to recommend this to my hubby for our next date night. i just drooled on my computer. .. Sounds like a fun mom and daughter date! Haven’t been there in a while, but loved it when I went.